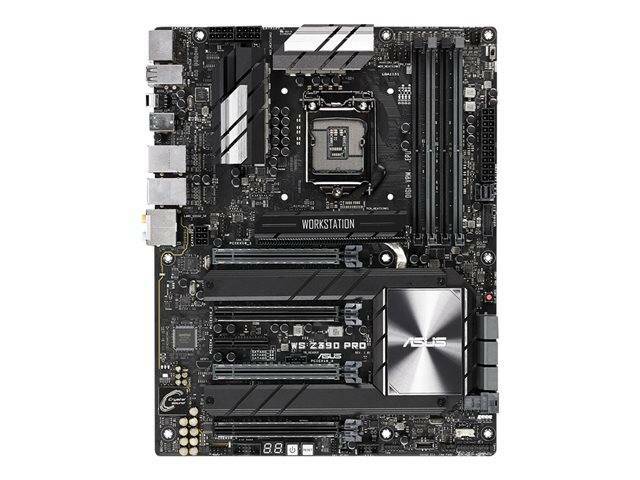 Intel LGA 1151 ATX motherboard with AI Overclocking, quad-GPU support, DDR4 4266 MHz, Dual M.2, Intel Optane memory ready, SATA, USB 3.1 Type-C and front-panel connectors. WS Z390 PRO fits up to four dual-slot graphics cards and supports both NVIDIA SLI and AMD CrossFireX for multi-GPU setups that harness the full power of the latest graphics technologies, delivering the best performance for design, modeling, medical research and processing-intensive simulation and rendering applications. WS Z390 PRO simplifies CPU overclocking with software and extensive tweaking options that give beginners and seasoned overclockers alike the tools to build well-tuned machines. A new memory trace layout provides stability and compatibility for memory, letting you pair a broad choice of DRAM kits with your build.